SHOCKING - Lab Test Reveals 133mg Sterols! What a scam this product is. It’s from Cellusyn Labs whose products you primarly see on websites that they own. So even if a few websites have it rated #1 the lab reports don't lie! ProstaRelief came back with a surprisingly average total sterol count of 133mg. I would have thought it would have been lower but I was shocked to see that it actually contained sterols at all. That being said, Prostarelief contains an average amount of sterols and doesn't even crack our Top 20. 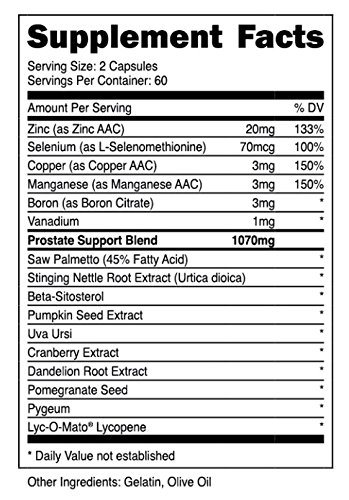 There are plenty of other prostate supplements out there that contain a significantly higher dosage of sterols.